Before you get too far into this blog, you should know that I like the Star Wars movies, but I am not someone who buys my tickets in advance of the movie to guarantee a seat on opening night. I will go see it once the crowds dissipate and I can enjoy the movie without being packed in the theater or have to wait in lines. 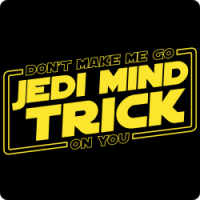 That said, when I was watching the trailer of the newest movie released yesterday and thinking back to previous movies, the idea of the Jedi Mind Trick kept popping in my head. I started wondering if I could use the Jedi Mind Trick on myself. If you aren’t a Star Wars fan you may not know what the Jedi Mind Trick is. It’s an ability of the Force that allowed the practitioner (usually a Jedi) to influence the thoughts of the affected (usually a Stormtrooper). Many of the most memorable moments in all of the Star Wars movies include the Force. Overall, it’s the heightened awareness of the present moment that’s the undeniable power we keep seeing throughout the saga. There’s a name for this skill in psychology and it’s called mindfulness. Usually a Jedi develops their power and abilities to battle evil. When I make the comparison to someone who is just learning to exercise their mindfulness muscle and develop the ability to influence their thinking – it’s just like a Jedi who is learning to develop their powers of influence using the Force. This is what I love about Star Wars: it seems that every movie in the franchise brings the audience back to the basic idea that if you fully experience the present moment, amazing things can happen and good can triumph over evil. 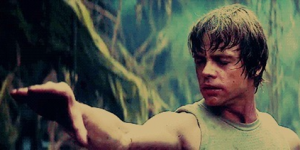 If I were a Jedi and battling evil in my life, I would be battling poor sleep, stress, inability to focus and stretching myself too thin. I also tend to over think situations and dwell on things in the past. As I have become more mindful over the last year by practicing mindfulness techniques on a daily basis, I have developed the ability to better control my mind and my thoughts. I am sleeping better, exercising more and learning to live in the present moment. I guess you could say I have learned to do the Jedi Mind Trick on myself! Is it corny to tie a blockbuster movie to my personal mindfulness practice? Maybe. But when I go into the theater to watch The Last Jedi in a few weeks, I will control my mind to not think about the million and half things I have to do, and I will enjoy the moment and the movie. What I have learned is using the Jedi Mind Trick isn’t a skill unique to the Jedi, it’s something anyone can master with a little practice – a little mindfulness practice that is.